After the release of Double Exposure, Steven Wilson decided to focus on his own projects. No-Man had had a good start from both Exposure albums, and soon afterwards his new progressive band Porcupine Tree would be formed which is still active and will release a new album The Incident soon followed by a hugh European tour. But from the now turned prog lowlands, The Netherlands, came some new volunteers to carry the flag. Main man was Peter Lindenbergh, also responsible for a magazine in English on progressive rock called Freia. In later years the editorial staff would change the name to Background Magazine. Since it wasn't an English project anymore, this album features only main land European bands, with the Netherlands delivering three out of eight contributors. 10cc did a theatre tour through the Netherlands during February and March. I recently found the time to write a late review about it. It sounds strange but it turned out to be a great succes. 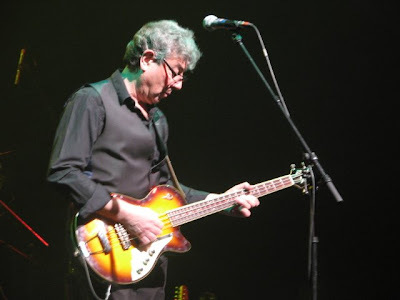 10cc nowadays is mainly Graham Gouldman, the only founder member left of the four who started 10cc in 1972. 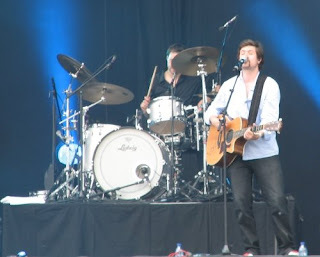 Besides Graham Gouldman Rick Fenn and Paul Burgess are involved with the band since 1977. Mick Wilson joined in 2000 and Keith Hayman is the musical director of Cliff Richard and working with 10cc since 2006. 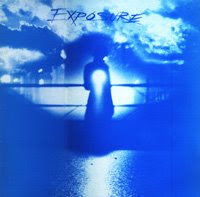 A year after the release of Exposure, Double Exposure was released. This time more bands wanted to anticipate in the concept. So in the end it turned out to be a double vynil album with contributions from England, Spain, Germany, The Netherlands and Italy. 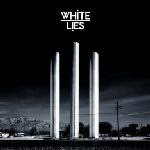 Again the concept was to give bands a change, which just had released an album or were in the progress making one. But this time it turned out to be that bigger names were involved. I think it was somewhere around 1984 when I listened to the radio on a frequent base. Every Thursday we had a two hour program running on the Dutch radiostation Hilversum 3 in which they played tracks from new albums. It was a great program called LP Show. A couple of years later they changed the name to the CD Show. It was a well known program where they played every style of music, normally without talking through the intro and outtro of the music, and on several occations they broadcasted live shows. Through this show I discovered new music. Became interested in bands like Marillion, Pallas, IQ and Pendragon, and so into progressive rock, or the neo-prog as it was called, since all these bands were from the eighties. 20 years after performing its debut concert at the venue, No-Man returns to The Rosemary Branch for the launch of the band's forthcoming double DVD, Mixtaped. The presentation will consist of a special 70 minute preview of last year's Bush Hall performance (in widescreen and 5.1 surround sound), a 20 minute excerpt from the No-Man documentary Returning, and a 5.1 showing of the videos for Back When You Were Beautiful (especially commissioned for Mixtaped) and Wherever There Is Light. There will be two screenings at 2pm and 7pm. No-Man merchandise will be on sale and Tim Bowness, Steven Wilson and Mixtaped/Returning director Richard Smith will be in attendance at both showings. Please note that tickets are extremely limited due to the size of the venue and no refunds can be given. Several people have asked me to repost the eigthies material of No-Man. So here it is again. 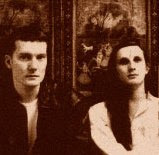 No-Man is the band of Steven Wilson and Tim Bowness and dates back to the late eighties. After playing in Karma and Pride Of Passion Steve Wilson decided to start his own band. 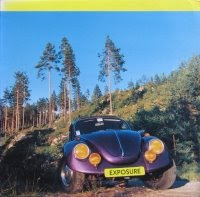 The first release, From A Toyshop Window, of this band, called No Man Is An Island Except For The Isle Of Man was released on the compilation album Exposure (1986). On this track Wilson plays all the instruments. It's a very progressive rock orientated song. 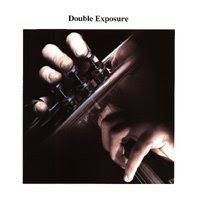 On the Double Exposure album from 1987 the name is cut to No Man Is An Island, and ex plenty vocalist Tim Bowness and Stuart Blagdan on guitar have joined the band. Faith's Last Doubt is the track featured on this compilation. Recently I visited the latest edition on TW Classic in Werchter. It wasn't really a classic line-up but it turned out to be unforgettable. The first artist I saw that afternoon was Tom Helsen. He's a Belgium singer, who I got to know through his collaborations with Milow. His music is a cross between Milow and a Dutch band called City To City, which had their moment of fame in 1999 when they scored a number one hit in the Netherlands with The Road Ahead. So not a very special sound a bit like middle of the road music but a nice opener. I missed Motor so I can't tell how they were. At the moment i'm enjoying my holiday and listen to a lot of (mostly) new music. In my present top 15 there are some great new bands, to me, with very good releases.